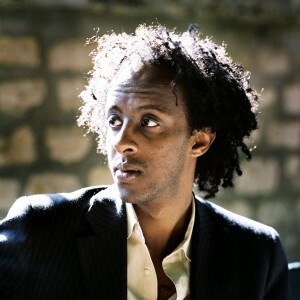 The Howard County Poetry & Literature Society (HoCoPoLitSo), in partnership with the Columbia Festival of the Arts, presents American Routes: A reading by Dinaw Mengestu, one of The New Yorker’s 2010’s “20 under 40” on Saturday, April 18, at 4 p.m at Oliver’s Carriage House, 5430 Leaf Treader Way, Columbia MD 21044. A post-reading talk-back and book sale and signing will follow. General admission tickets are $15, and available by calling 1.800.955.5566 or at www.columbiafestival.org and at Columbia Association Member Services. Mengestu has, in the words of The New York Times, a talent for “artfully — but never didactically — kindl[ing] disruptive, disturbing stories exploring the puzzles of identity, place and human connection.” After bursting onto the literary scene in 2007 with the lauded The Beautiful Things That Heaven Bears, Mengestu established himself as a noteworthy up-and-comer. Mengestu was named a MacArthur Fellow, one of 39 Sub-Saharan writers under 40 selected by the Hay Festival as “the most promising,” and has received numerous book awards. Seniors in Columbia can request transportation by calling the Senior Events Shuttle at (410) 715-3087. HCC is an accessible campus. Accommodation requests can be made to HoCoPoLitSo by April 15, 2015, by calling 443-518-4568 or emailing hocopolitso@yahoo.com.